Just like every month, around the second to third week in, I arrived home to a lovely parcel from the Wildest Dreams Book Box! It’s always an exciting time when I get my hands on the latest box, as usually I have no idea what’s going to be included but I always know I’m going to love it! If you didn’t know, a few months back, I was very luckily chosen to be a rep for Wildest Dreams and this box was very gratefully received from Zoe, the owner of Wildest Dreams Book Box. So, what exactly is the Wildest Dreams Book Box? It’s a monthly YA subscription box packed with a new YA release, tea and other goodies relating to a particular theme for less than £20! 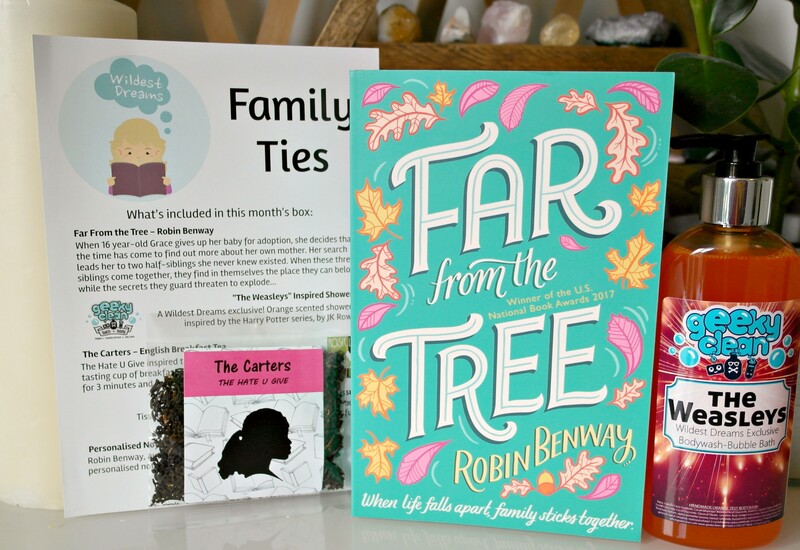 For March the theme was “Family Ties”. Keep reading to see what was inside this month’s box and look out for my discount code at the end! 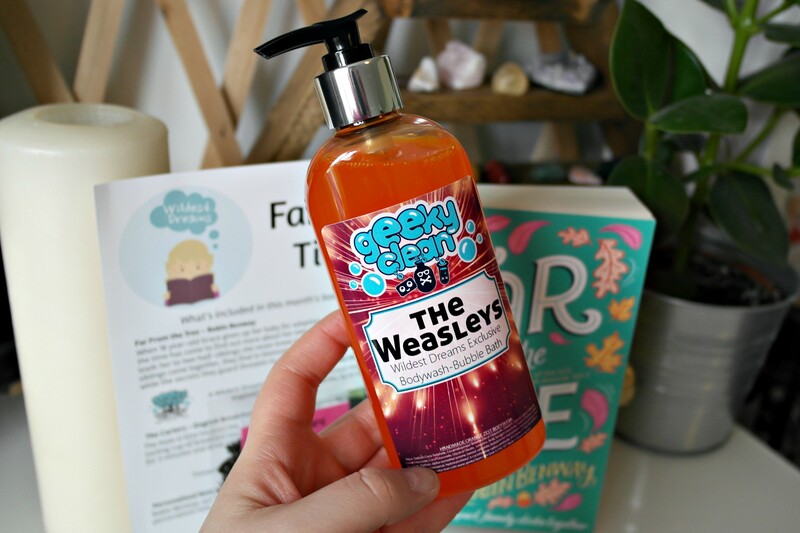 First up is my favourite product from this month’s box: The Weasleys shower gel and bubble bath made exclusively for the Wildest Dreams Book Box by Geeky Clean! 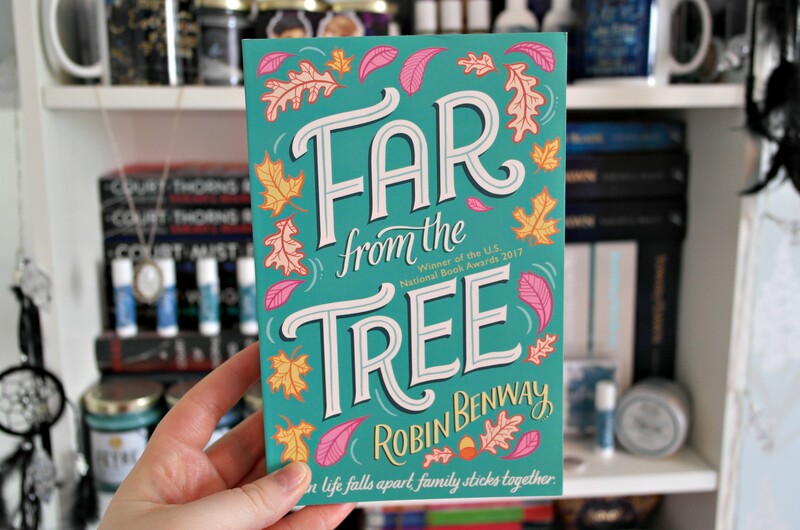 The Weasleys are one of my all time favourite bookish families (as I’m sure they are for many other people too) and I think this product is just perfect; from the design to the colour to the scent, everything is spot on. Next up is this month’s tea. 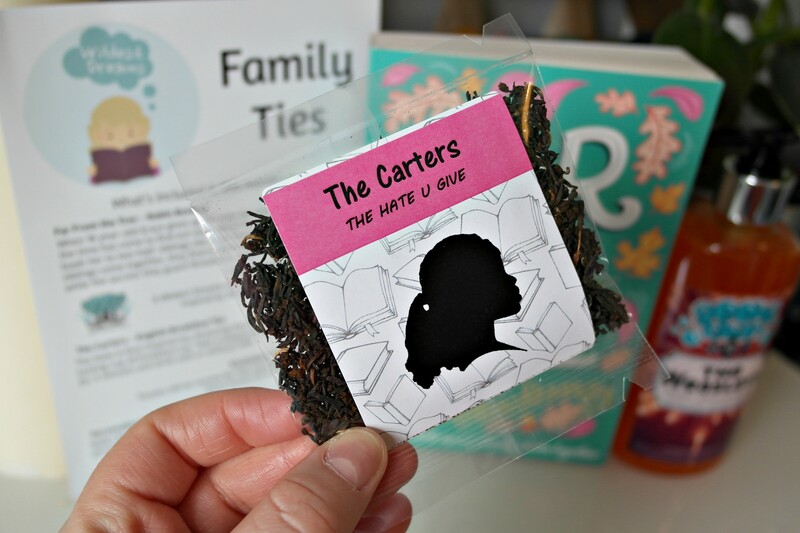 Inspired by another popular YA family from The Hate U Give, it’s The Carters English Breakfast Tea by Rosie Lea Tea! I’m ashamed to admit that despite raving reviews, I haven’t yet read The Hate U Give but I do hope to change this very soon! Once again this was a well thought out and lovingly crafted offering from the Wildest Dreams Book Box. Every month it’s packaged impeccably, with actually useful products included which I love! As this is all run by one woman, Zoe, I am always blown away by the care put into the box and how successfully it is all organised.